I am a member of the Everywhere Society and Everywhere has provided me with compensation for this post. However, all thoughts and opinions expressed herein are my own. It's the 4th of July and for so many of us the day's festivities will include firing up of the barbecues and getting our grill on. 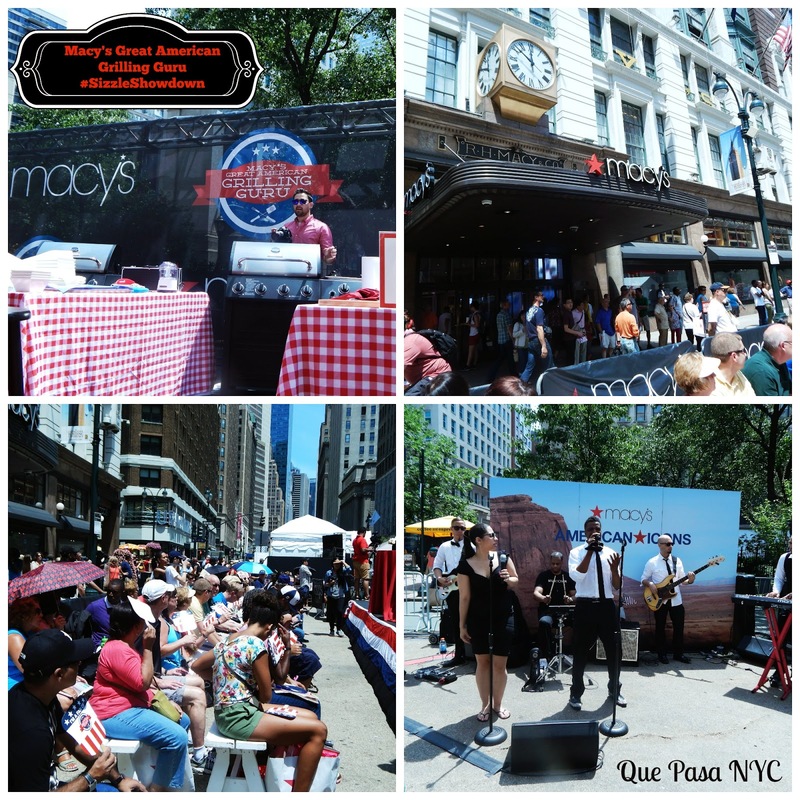 Last weekend I got some grilling inspiration by attending the Macy's Great American Grilling Guru #SizzleShowdown. Six semi-finalists, who won their spots by competing in regional competitions across the United States, gathered in New York's Herald Square on the steamy afternoon of June 28, 2014 to compete for the title of America's Greatest Grilling Guru and a prize of $10,000. in Herald Square, New York City. 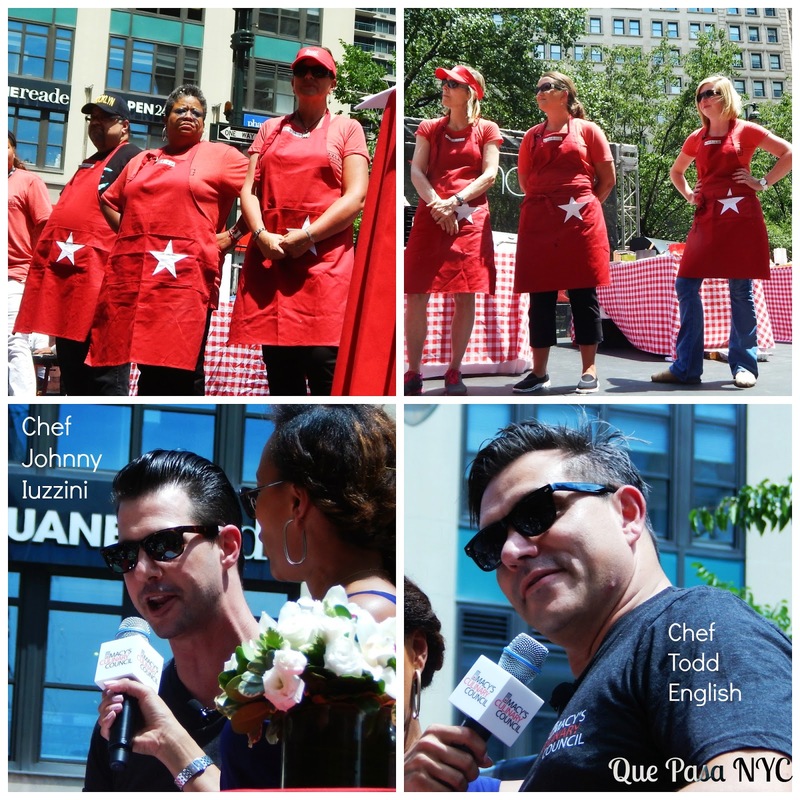 The competition was conducted under the watchful (and handsome) eyes of two Macy's Culinary Council Chefs, Johnny Iuzzini and Todd English. These guys epitomize the "bad boy" persona (especially Johnny) and are gastronomic phenoms to boot. During the 60 minutes that the contestants had to prepare their grill specialties, these guys paid close attention, looking for any new techniques or surprising techniques. As the competitors' 60 minutes came to an end, the judges were put to work, tasting and deconstructing each dish to determine who would be the winner. 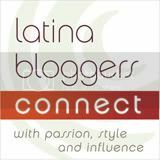 The submissions were an herb goat cheese and prosciutto stuffed chicken, pesto citrus prosciutto grilled shrimp, crab sliders with avocado tartar cream, pork and beef braids with charred apple-mango reduction, Thai lamb loin chops, and beef short ribs. America's Greatest Grilling Guru Sherri W. of Crestview, FL. When all was said and done, Sherri W.'s Grilled Thai Lamb Loin Chops reigned supreme. Sherrie walked away with the title, the cash prize, and a front row seat to next year's Macy's 4th of July Fireworks here in New York City! I walked away having had a great time, recipes in hand, and plans for some grilling of my own. Are you a grilling guru? If you are, you've got about a year to start perfecting your best recipe. Maybe you can be the next winner! 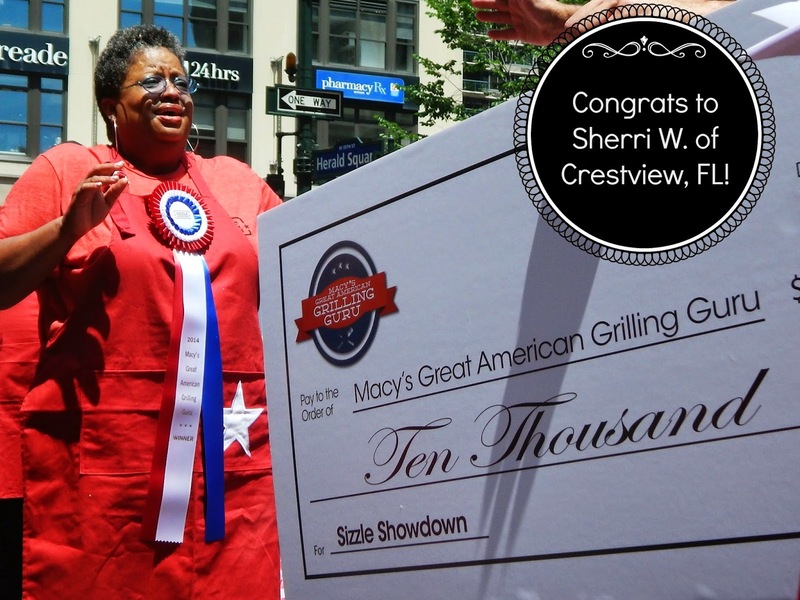 One Responses to "Macy's Great American Grilling Guru Sizzle Showdown"
Thanks Sherri! Glad you liked it.